Click on the links below to read more about each animal and for adoption contact information. Be the first to submit an adoption photo and information. Photo and contact information will also be posted on our social media pages. Here we are at Watauga Humane Society, where we adopted Mia (or should I say, she adopted us:) She's the best dog in the universe! Do you know of an animal friend that needs to be adopted? If so, please use the Online Adoption Information Form to submit your information. Use our direct email address: to submit a JPEG photo of the animal. 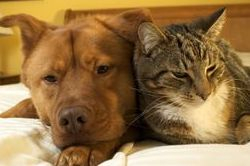 Animal adoption information is posted on a first come first serve basis based on web availability. This is a free service listing for H.A.A. Members*. All information is subject to approval. H.A.A. reserves the right to refuse any submitted information for posting. H.A.A. is not responsible for any incorrect information or non-working links. H.A.A. may cancel this service at anytime without notice. H.A.A. is not a professional animal adoption agency or rescue center, and takes no responsibility or liability for any animal adoption/rescue that takes place. We only provide a resource for members to share information about animals in need of a forever home. Please contact the 'contact person' listed with each photo/description directly for any questions or concerns you may have regarding any posted information on a particular animal. H.A.A. offers this posting option to Members only*. If you would like to have an animal listed in the adoption section, please visit our Membership Categories and Requirements webpage. *Applies to Business, Professional, Educator/School, Sponsor and Non-Profit Members. If you can not adopt, consider making a donation to our organization to help cover costs for the adoption webpage and marketing efforts. Click the box below to make a donation.